Strong, smooth black plastic with plastic hook. 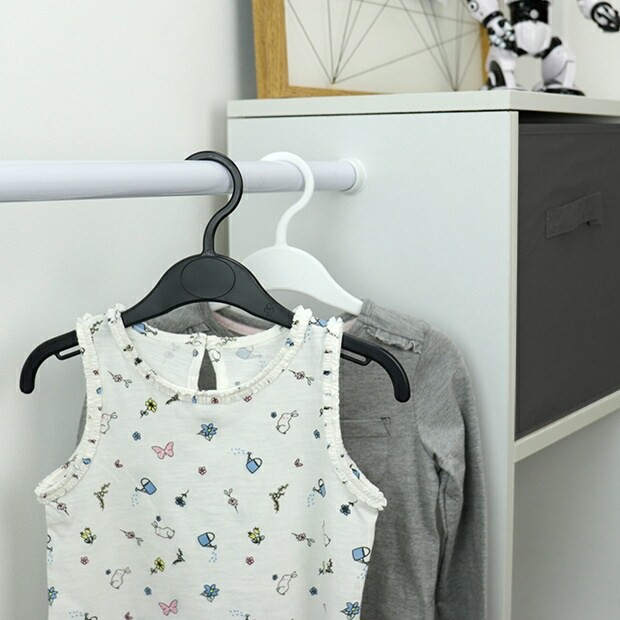 Ideal size and shape for toddlers' & children's clothes. Suitable for tops, skirts, dresses, jackets and coats. Central label area. Shoulder notches for skirt & trouser loops. Great value hangers - Practical & Economical. Size: Width 30 cm (12") approx.